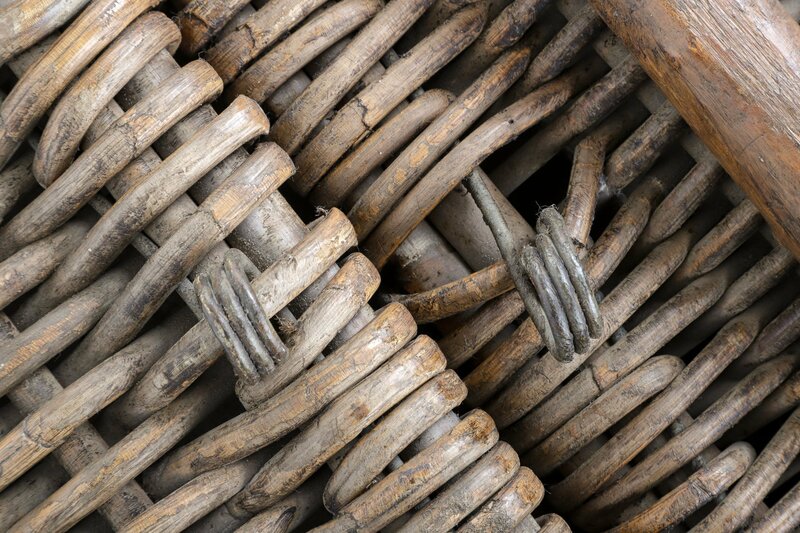 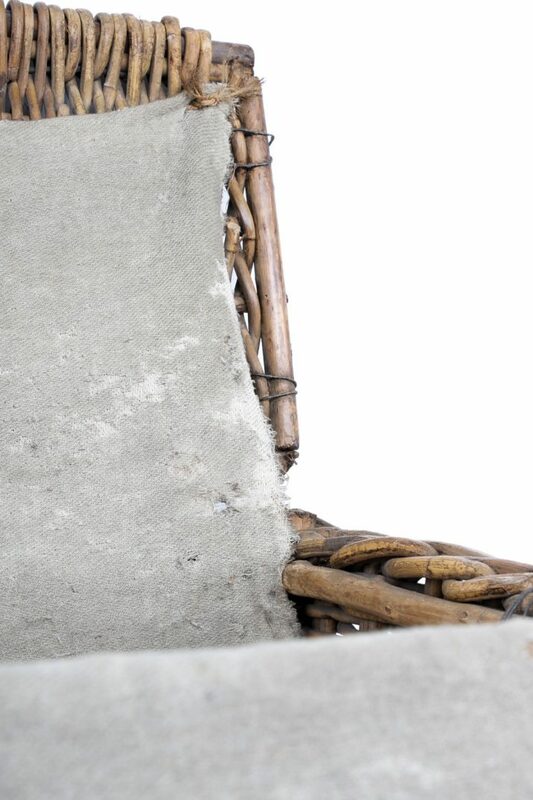 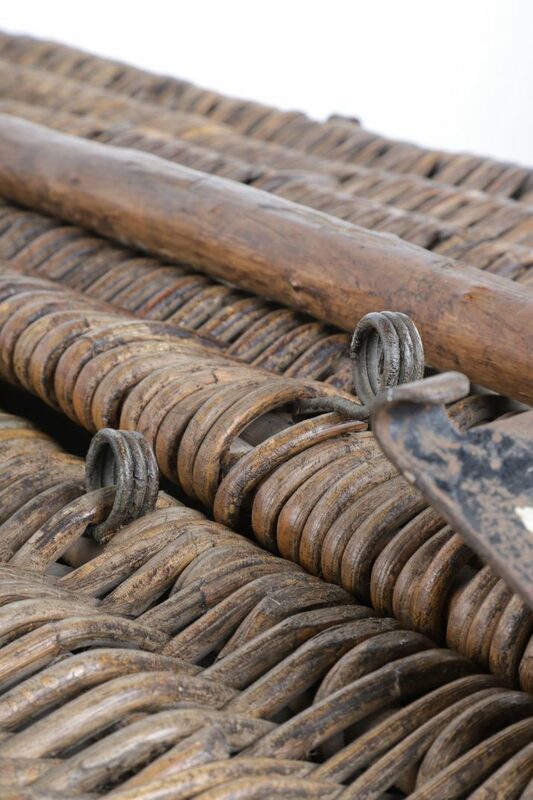 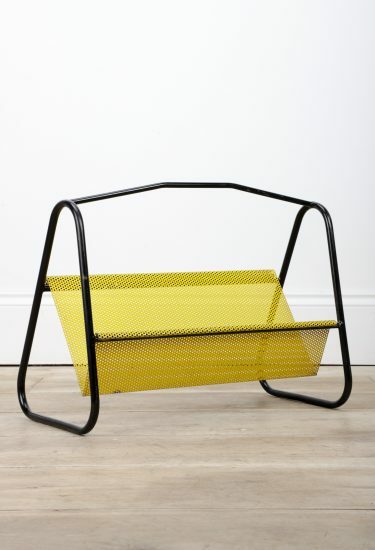 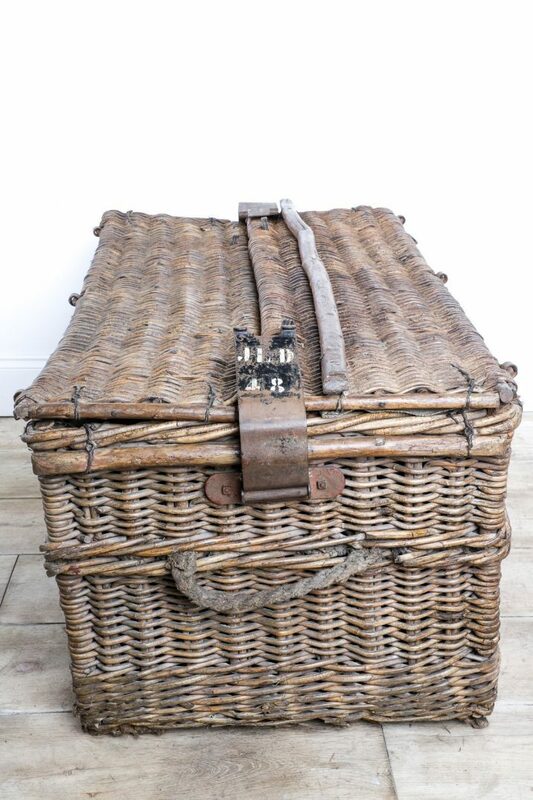 A incredible antique wicker basket of large proportion. 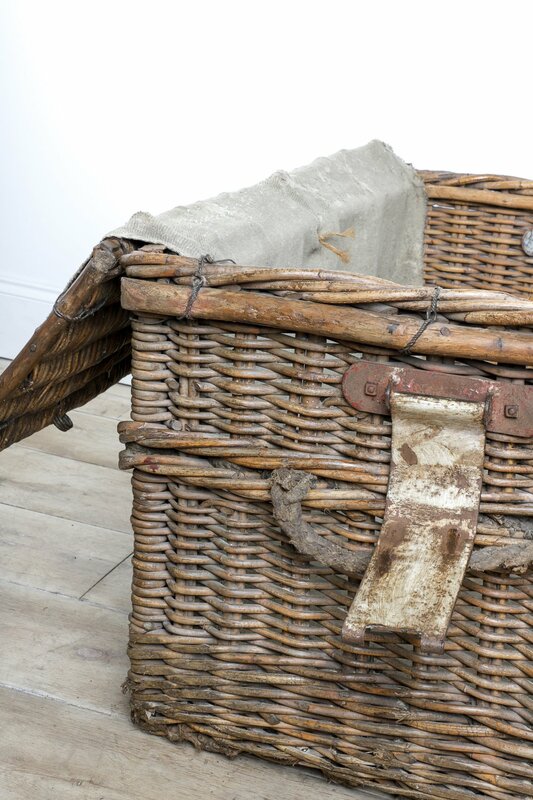 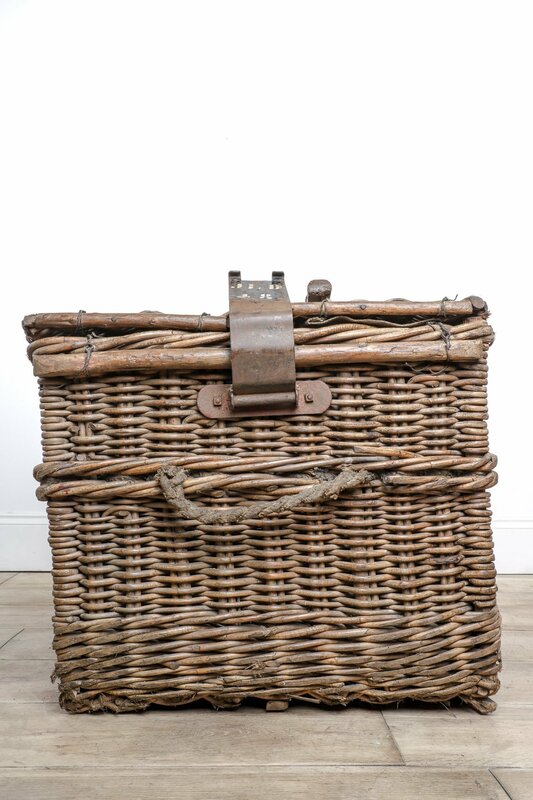 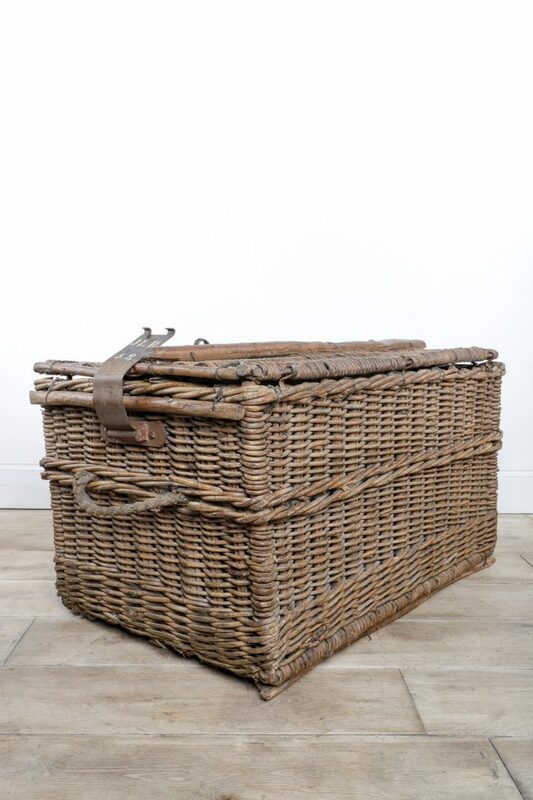 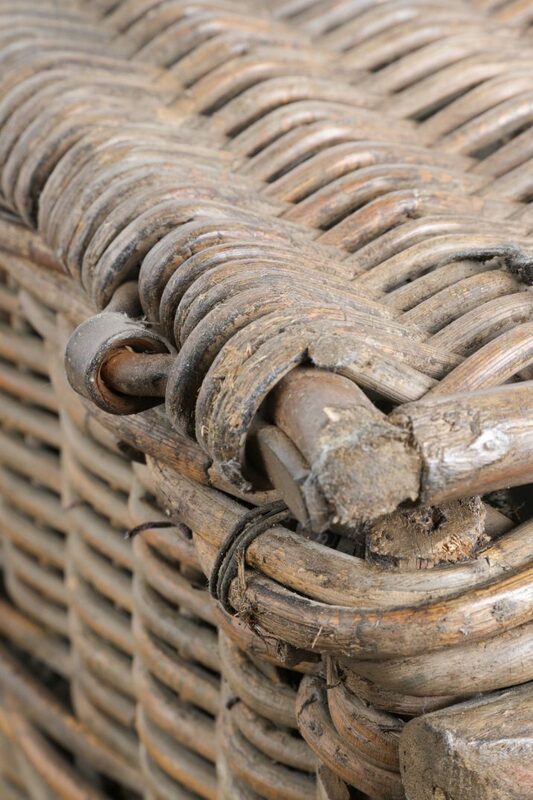 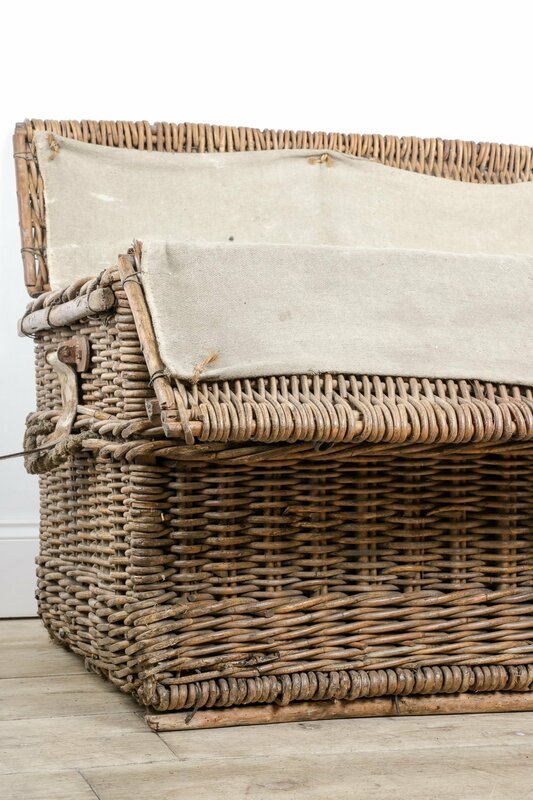 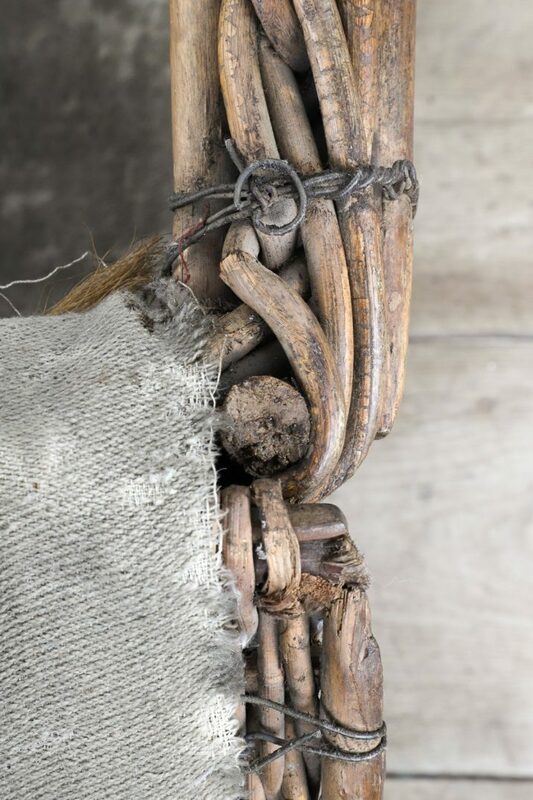 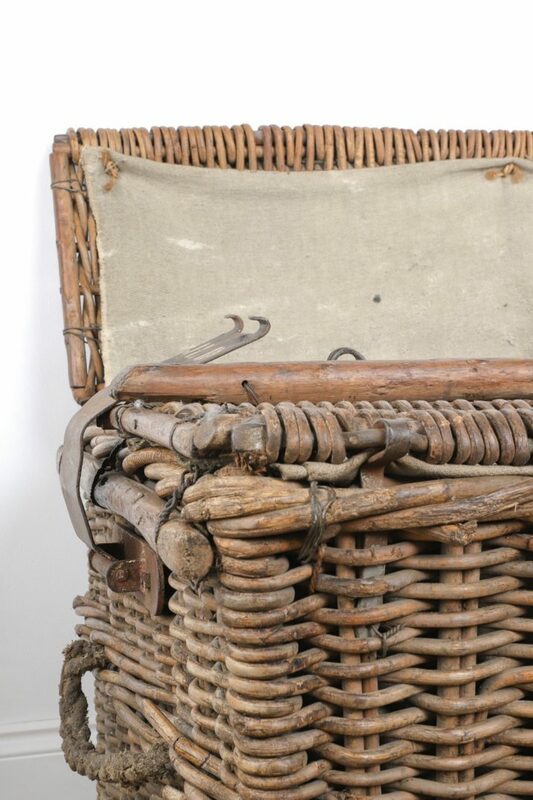 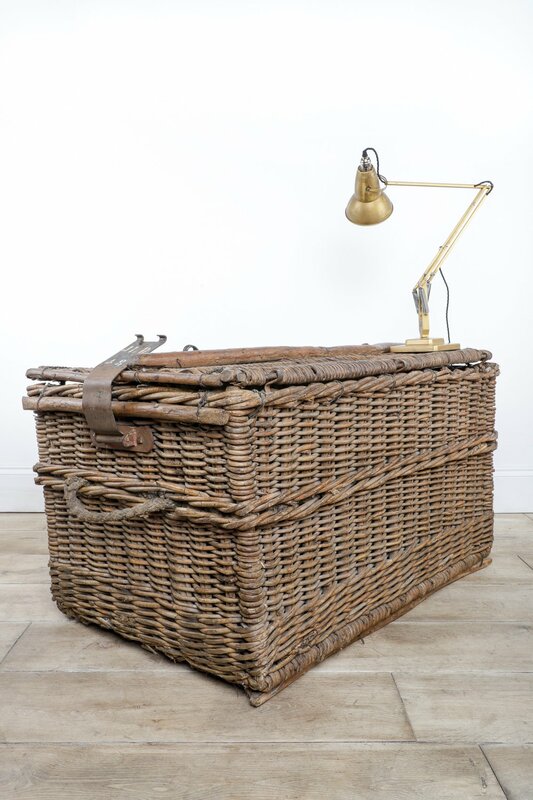 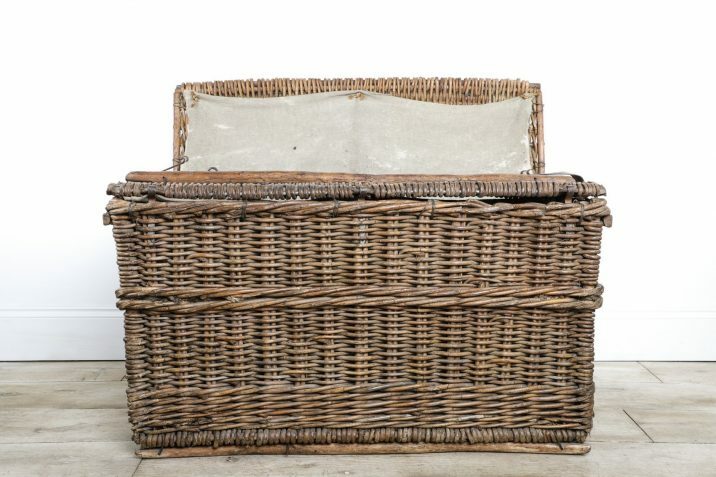 Once used by the army to transport goods; this beautiful wicker basket is in great condition with all wicker present, very minimal damage & a lovely warm deep colour to the wicker. 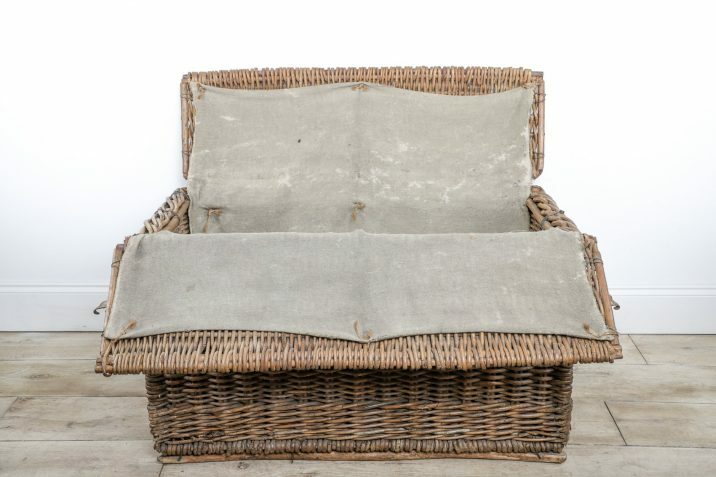 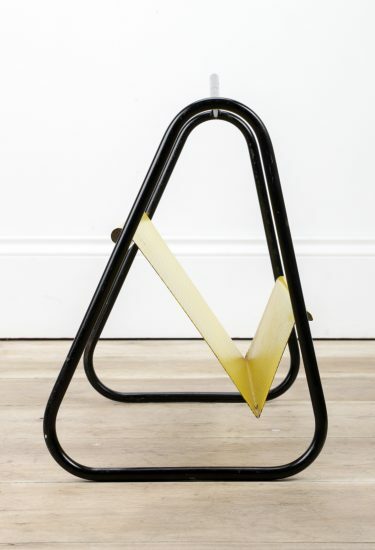 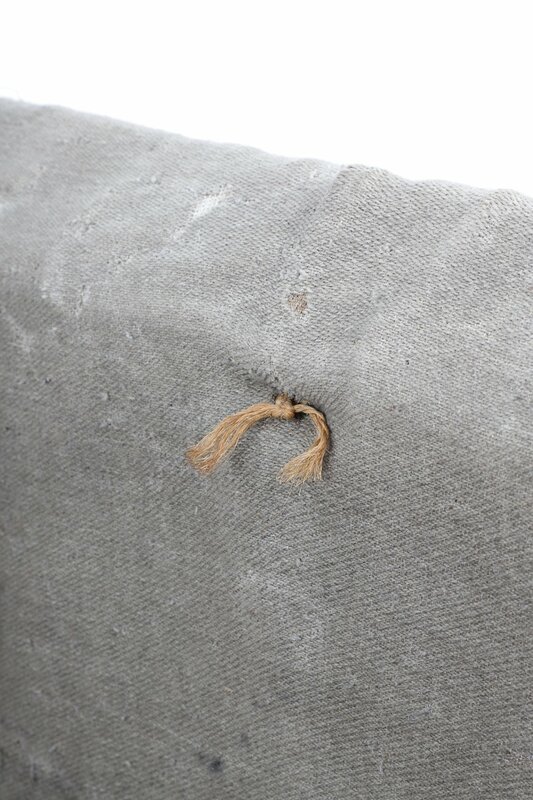 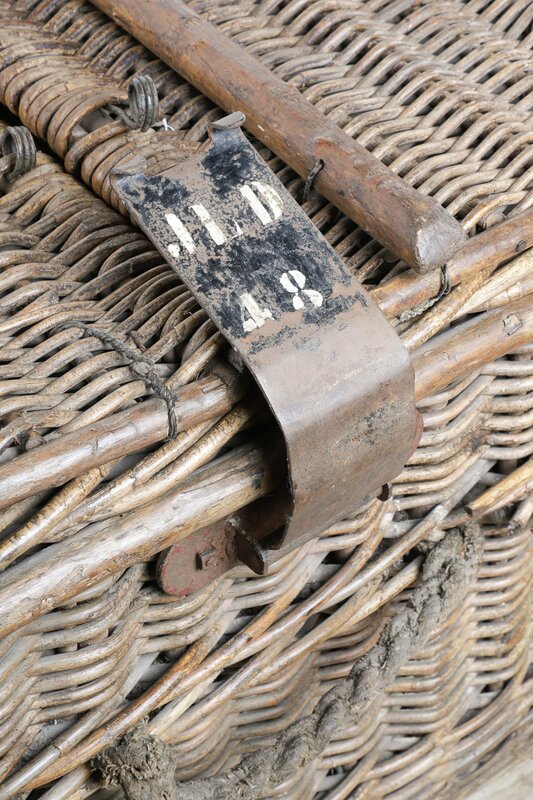 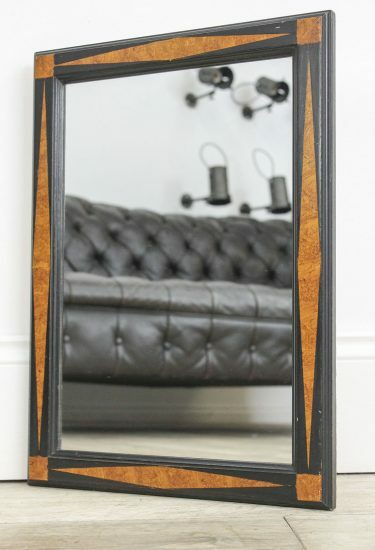 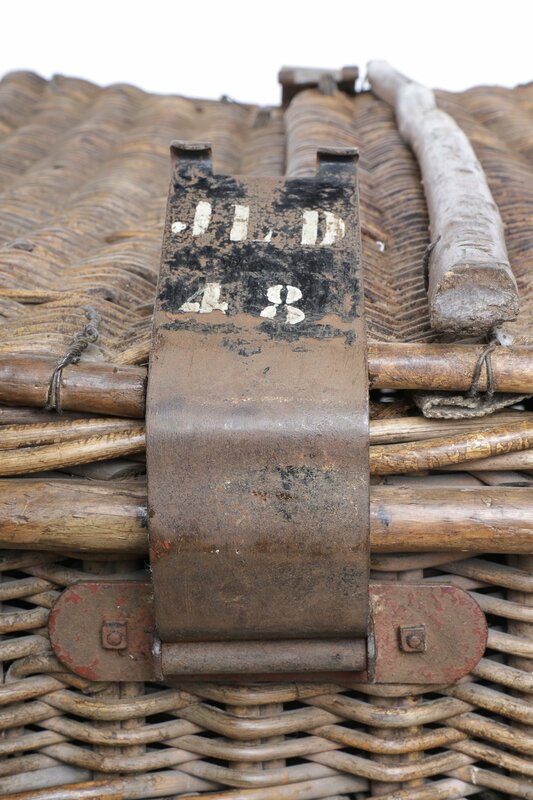 Complete with original internal cloth & metal brace fasteners, still detailing initials JLD 48. 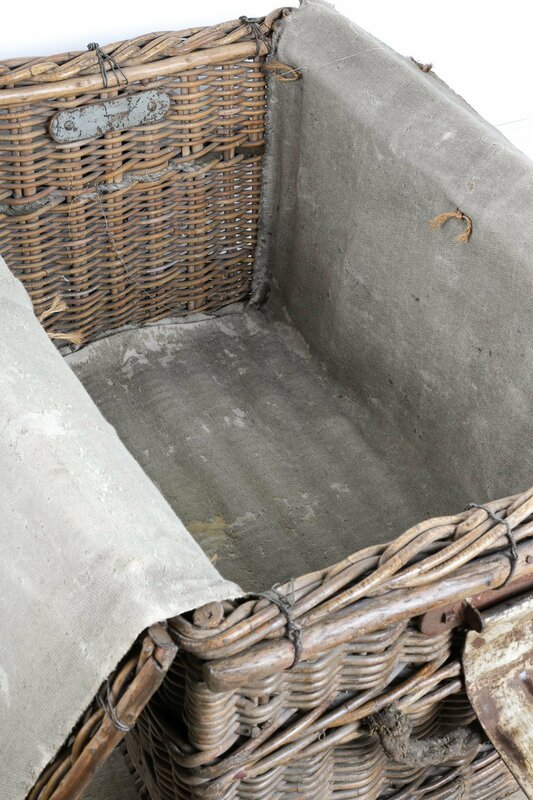 A truly stunning piece of English history.